African Mango ™ se comercializa en: Inglaterra, Irlanda, Polonia, España, Portugal, Deutschland, Austria, Italia, Francia, Grecia, Chipre, Suiza	, Países Bajos, Bélgica, Dinamarca, Finlandia, Croacia, Rumania, República Checa, Letonia y Suecia. Irvingia Gabonensis – African Mango. Ultra high-performance liquid chromatography with high-resolution mass spectrometry analysis of African mango (Irvingia gabonensis) seeds, extract, and related dietary supplements. Sun J, Chen P. Food Composition and Methods Development Laboratory, Beltsville Human Nutrition Research Center, Agricultural Research Service, US Department of Agriculture, Beltsville, Maryland 20705, United States. 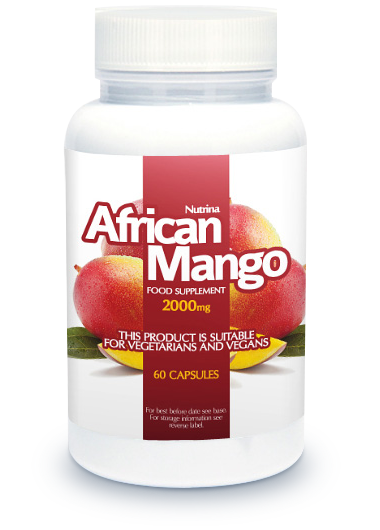 Ranking of slimming tablets containing African mango. 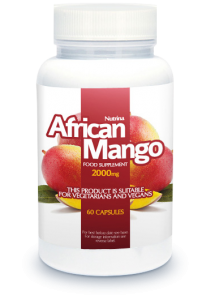 – African Mango – Weight Loss Pills. Plant names: Porcher Michel H. et al. 1995 – 2020, Sorting Irvingia Names. Multilingual Multiscript Plant Name Database (M.M.P.N.D) – A Work in Progress. School of Agriculture and Food Systems. Faculty of Land & Food Resources. The University of Melbourne. Australia. http://www.plantnames.unimelb.edu.au/Sorting/Irvingia.html. Inhibition of Irvingia gabonensis seed extract (OB131) on adipogenesis as mediated via down regulation of the PPARgamma and leptin genes and up-regulation of the adiponectin gene. Oben JE, Ngondi JL, Blum K. Department of Biochemistry, Faculty of Science, Laboratory of Nutrition and Nutritional Biochemistry, University of Yaoundé I, Yaoundé, Cameroon. The use of a Cissus quadrangularis/Irvingia gabonensis combination in the management of weight loss: a doubleblind placebo-controlled study Julius E Oben,1 Judith L Ngondi,1 Claudia N Momo,1 Gabriel A Agbor,1,2 and Caroline S Makamto Sobgui1,2  White L, Albernethy K. Guide de la végétation de la réserve de la Lopé, Gabon. ECOFAC Gabon. 1996. Okafor J, Okolo HC. Potentials of some indigenous fruit trees of Nigeria. Paper presented at the 5th Annual Conference of the Forestry Association of Nigeria Jos. 1974. pp. 60–71. Ngondi JL, Etoundi BC, Nyangono CB, Mbofung CMF, Oben JE. IGOB131, a novel seed extract of the West African plant Irvingia gabonensis, significantly reduces body weight and improves metabolic parameters in overweight humans in a randomized double-blind placebo controlled investigation. Lipids in Health and Disease. 2009;8, article 7. Vuksan V, Jenkins DJ, Spadafora P, et al. Konjac-mannan (glucomannan) improves glycemia and other associated risk factors for coronary heart disease in type 2 diabetes. A randomized controlled metabolic trial. Diabetes Care. 1999;22:913–9. Natural Medicines Comprehensive Database. Stockton, Calif, USA: Therapeutic Research Faculty; Irvingia gabonensis. Ngondi JL, Oben JE, Minka SR. The effect of Irvingia gabonensis seeds on body weight and blood lipids of obese subjects in Cameroon. Lipids in Health and Disease. 2005;4, article 12.